SEO changes incredibly quickly, and truth be told, it’s a full-time job keeping up with the constant changes. The constantly shifting sands of SEO means there are lots of theories floating around that aren’t actually true. 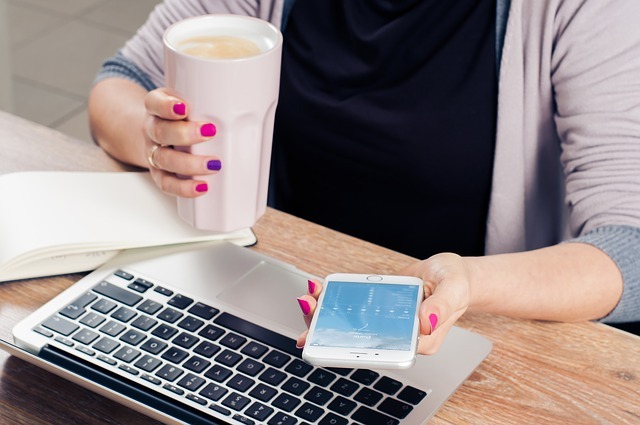 It’s all too easy for business owners and marketing managers to fall prey to search engine optimisation “facts” doing the rounds in forums and Facebook groups that are wildly inaccurate. You want to know how SEO works in 2018, but if you ask ten different people you get 10 different answers. What worked in SEO in 2013 is often woefully ineffective today. In fact, some of these outdated optimisation strategies can actually harm your ability to rank in Google. There are also misconceptions based on misinterpretations of how and why SEO has changed. Google’s algorithms may have gotten a lot smarter about shady backlinks, and content may be more important than ever, but backlinks still matter. The reality is you still need an SEO strategy, but a more holistic one than you’re using right now. In this post, I’m going to cover some of the most common SEO myths I’ve run across when talking to clients. It saddens me to hear how often prospective clients are using outdated SEO tactics that no longer work. Here are 38 of the top SEO myths and misconceptions, fully debunked. Myth #1: Don’t worry about SEO, just make great content. This misconception is a very modern one. Content marketing is here to stay, and content is also important for SEO. What Google is actually trying to do is to provide the best results for any given search query, creating a better user experience. No one wants to search for something, then fail to find anything that actually answers their questions. Pages that rank in Google have awesome content. But there’s more to it than that. You can’t ignore SEO completely, then expect to get any organic traffic. Now, I do want to point out that organic search traffic may not be super important for every single business out there. There are plenty of websites that drive traffic primarily through other channels like PPC, paid Facebook ads, or display ads on other websites. But it’s probably safe to say that for most websites, focusing on SEO is definitely worthwhile. There was definitely a time when this was true, but as Google has become more sophisticated, it’s no longer an issue. Recent technical developments, like latent semantic indexing, have helped the search engine gain a better understanding of context and relevance. While it still can’t read your content exactly as a human being could, Google can understand that, for example, “digital marketing” and “web marketing” are different terms for the same thing. This is actually great news for content creators. It means you don’t need to shoehorn awkward keywords like “how do I remove mold from my roof” into your writing a million times. You can write more naturally, which is much better for your readers. You know that little snippet of text underneath each link in the Google search results? That’s called a meta description. If you don’t create a designated meta description, Google will automatically generate one from the first few sentences of your content. You can use SEO plugins for WordPress, like Yoast and All-in-One SEO, to customise the meta description, as well as the meta title, that will show up in Google’s search results. In the past, meta descriptions really were a ranking factor. It was important to optimise these snippets of text for your target keyword. But this actually hasn’t been true since 2009. But, this doesn’t mean you shouldn’t write a good meta description. It may not matter to Google’s algorithms, but it does matter to the humans who see your website on the first page. You should craft the meta description for people, not machines. This is another thing that used to be true, but isn’t anymore. It used to be that to win at SEO, you needed to heavily optimise for your exact target keyword. We used to do things like create separate 500-word posts or pages for similar keywords like “dentist in Bristol” versus “dental practice in Bristol,” because these really were two separate queries. But as Google has gotten better at recognising context, keyword topics that are related to one another can still come up for searches that aren’t an exact match. This is good, because it means you can optimise for your human readers instead. You’re free to use synonyms and related terms to make the content read more naturally. Link building today is a lot different from what it was like in the past, but this myth couldn’t be further from the truth. Links are still a huge part of how Google decides what sites to show on the first page. There are sites out there that rank high for their target keywords, despite having only a few pages of content. Quality is much more important than quantity when it comes to SEO. Create pages if they add value to your site, but their mere existence isn’t going to help your site rank. It is true that Google does favor “fresh content” and relatively recent updates. This is where your blog comes in. You don’t have to post every day but a blog is a great way to keep adding new content to your site without creating clutter. One of the big developments in SEO in the last couple of years has been a move toward longer, more in-depth content. It used to be that 500 words was the gold standard for a blog post, and we’d create quite a few articles and post frequently. But in early 2016, Brian Dean of Backlinko found that the pages that ranked first in Google tended to be closer to 2,000 words. This makes sense. Not only is Google better at picking up on context and intent — eliminating the need for tons of separate posts and pages for related keywords — but longer content usually provides more value. But with all of that said, none of this means that you need to fill up your homepage with 3,000 words of text. Think of your homepage as a doorway into the rest of your website. When someone goes there, they probably want to navigate somewhere else on your site, like the Services page or the Pricing page. No one’s pulling up your homepage to read paragraph after paragraph of exhaustive text content. Focus on how your users are going to approach your site. In many cases, simplicity creates a better homepage user experience. Both content and links are vital to SEO, but without good content, what exactly are people going to link to? You really do need to put time and resources into content creation. Remember that Google cares more about the quality of your backlinks than the quantity. One killer link from a high authority, respected website could mean a lot more for you than dozens of links that are easy to get. Content isn’t just for SEO, either. It’s a part of inbound marketing as a whole — this means attracting people to your site with content they want to see. Creating blog posts, web pages, social media posts, and guest posts on other websites can all help you attract potential customers and build consumer trust. Whenever you embed an image on your website, you can optimize it for SEO by using an HTML attribute called an alt tag. Alt tags are what search engines will see, since they’re not sophisticated enough quite yet to view pictures like a human would. Adding alt tags to your images is super simple, especially in WordPress. For example, if you’re a plumbing company and you have a stock picture of your employees on your homepage, you may want to add something like “bob’s plumbing company team” as the alt text. There’s no way around it: optimising for mobile is a ranking factor that Google does take into account. If your site isn’t mobile friendly, it could be harmful for your SEO. Keep in mind that people are using their smartphones and tablets more often than ever before. For some people, their phone might even be the primary way that they access the internet. Mobile internet use overtook desktop use back in 2016, and this trend shows no signs of slowing down. Your website needs to be as easy to use on mobile as it is on a desktop or laptop computer. If your website is brand new, you can submit your URL to Google to be indexed. But as long as your technical on-page SEO is sound, Google’s crawlers will find and index your site just fine. Ever notice how some sites start with “http://”, while others start with “https://”? You may also have noticed that the latter has become increasingly common. That little “s” basically means that the user’s connection to the website is encrypted by something called a Secure Sockets Layer (SSL). This prevents anyone malicious from intercepting your data. In September 2016, Google announced that its Chrome browser would flag websites as unsafe if they didn’t start with “https://”. Ever pull up a website on your browser, only to get a notification page that says it might not be safe? Chances are, you clicked on the “Back to Safety” option, rather than proceeding to the website. If your site isn’t using SSL encryption, you could end up with a higher bounce rate. The good news is that you can get an SSL certificate easily, either for free or for a small fee. While it’s true that getting onto the first page for your target keywords is part of the goal of SEO, it doesn’t actually matter all that much if you’re number one or not. Just being in the top ten, which display on the first page, can cause your organic search traffic to skyrocket. Think about it: when you do a Google search, you don’t just click the first result, and nothing else. You probably open a couple different links in new tabs, to find all of the information you need. 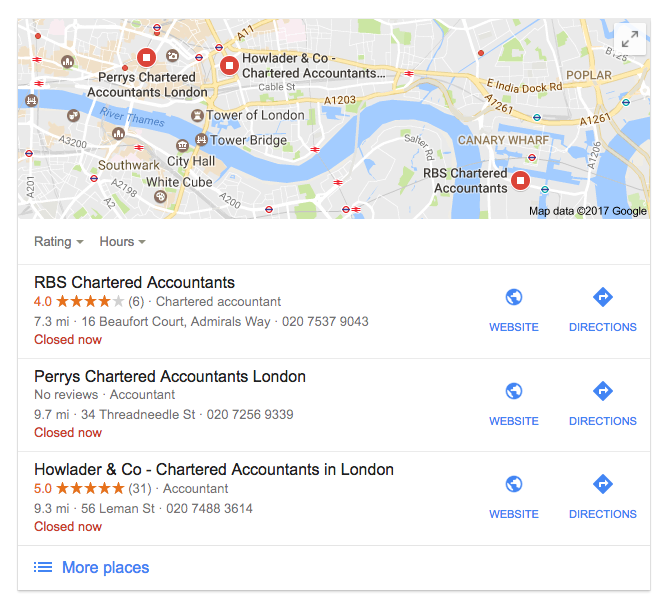 Plus, Google’s been adding more and more features at the top of the page that help the user avoid leaving the Google Search results page at all. You may be familiar with the Answer Box you’ll get for certain queries. There’s also what’s colloquially known as the “map pack,” for local searches related to brick and mortar businesses. So even if you ignore the PPC ads at the top of the page, being in the #1 slot on Page 1 doesn’t even mean that your website is the first thing on the page, or that users don’t have to scroll down to find it. 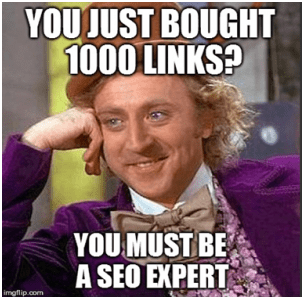 I must admit I haven’t run into this one yet in real life, but I’ve heard about it from other SEO professionals on multiple occasions. Because SEO is related to computers and technology, some business owners do assume that it’s a task for the same IT workers who handle their servers or fix faulty desktops in the office. It’s actually not. Now, it is true that you’ll find freelance web designers and web developers who offer basic SEO services — mostly technical optimisation — when you hire them to create a new website for you. It also works the other way: agencies and independent consultants specialising in SEO usually also offer web development services. So there’s some overlap there. But these things aren’t quite IT, per se. The IT contractor who fixes your frozen office laptop may know very little about SEO, and even about web development. “Computer stuff” covers a very broad range of occupations and specialities. Myth #16: SEO just isn’t working for me, so it probably never will. While SEO isn’t the primary source of traffic for every website, it can work in the vast majority of cases. If you’re handling your own SEO and you’re not seeing results, keep in mind that these things take time. What this means is that it’s possible that Google might filter your website for the first six months or so, putting it on a sort of “probation” that can prevent you from ranking. If it’s real, the idea behind it would be to prevent spam sites that use the “rank and bank” approach. These sites use black hat tactics to rank quickly but temporarily for profitable keywords, collect their money, then rinse and repeat when Google brings down the hammer. Even if the Google Sandbox isn’t a real phenomenon, SEO is still a long-term game. It takes time, effort, and in most cases, money. But over time, the results can be well worth the wait. This is a really common misconception about SEO. In truth, duplicate content will never result in an outright penalty. Google has confirmed this numerous times. What Google actually does is simply ignore and disregard duplicate content. So if you’ve plagiarised all your website’s content from elsewhere, don’t expect to rank. But it’s perfectly natural to have a few instances of duplicate text here and there. Don’t stress about it. If you’re not sure whether two pages are too similar to one another, try running them through Copyscape. Local SEO does involve some factors and strategies that aren’t present when you’re doing a nationwide or international SEO campaign. Simply having a website isn’t enough. You also need a verified Google+ My Business Page, one of the few instances where social media has a direct effect on SEO. With local, our big goal is generally to help get you into the “map pack” at the top, which gets the most clickthroughs and, on your end of things, the most sales. In 2014, Google introduced a new algorithm for local search, called the Google Pigeon update. It improved the distance and location parameters for local searches, making it more convenient for people to find services near them. So local SEO does involve a distinct set of concerns that make it a different subset of search engine marketing than national SEO. This is the type of SEO myth that can cause your traffic to dry up overnight, even if that is just temporarily. Most Google link penalties are algorithmic, although they also issue manual penalties after your site is reviewed by humans. For that reason, it’s better to just play it safe when building links to your site. The release of the Penguin 4.0 update changed the way Google handles “bad” backlinks, and especially their ability to detect “paid for” links. It’s now easier to recover from a penalty if you’re targeted by negative SEO, a black hat tactic where someone points spammy links at a competitor’s site. 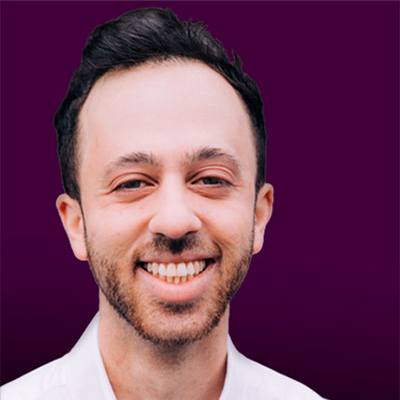 But with that said, your own SEO strategy should stick to white hat techniques, along with the occasional “grey hat” tactic. PR, journalist outreach, guest posts, legitimate directory links, and other white hat approaches to link building work well, and they will most likely stand the test of time. I’ve come across this one, and honestly, it kind of saddens me that scammers and spammy SEO companies have tainted people’s conception of SEO services. There are bad SEO services out there. Those spam emails from overseas countries that offer to make you rank #1 for $150 a month are a perfect example. There are also people out there doing freelance SEO consulting who have really good intentions, but who don’t understand modern SEO best practices nearly as well as they think they do. This happens because freelance SEO work has a low barrier to entry. There’s no degree or certification, so anyone can label themselves an SEO specialist and start selling services to clients. This factor can complicate things quite a bit, especially if you’re using platforms like Upwork to try to find a freelance SEO consultant. This is one of those myths that started out as a rumour and gained momentum thanks to discussions in various digital marketing forums. The problem is that the same people spreading this type of misinformation never take the time to test whether or not it’s true. Even Matt Cutts has gone on record to say that there’s nothing wrong with commenting on blogs as part of an SEO strategy…so long as you don’t spam thousands of blogs with pointless, generic comments. Blog comments are an excellent way of generating backlinks for your site or business, while also creating business networking opportunities. Blog comment spam is dead. But commenting on high traffic blogs to get a backlink and some referral traffic is very much alive. If you’ve been marketing online for more than a few years you’ll probably remember the days of the best-keyword-domain-in-the-world.com style of domains. The thing is that hyphenated domains worked really well back then. Then some SEOs figured out that using exact keyword match domains could “trick” Google into ranking their websites almost overnight, and with zero backlinks required. So, you could register the domain LG52inch3DTV.com, create a basic website, and start getting traffic from Google almost instantly. Google then dropped the hammer on the EMD (Exact Match Domains) strategy, so 99% of SEOs abandoned the idea of using EMDs as part of their overall ranking strategy. But having keywords in your domain is still beneficial, just don’t overdo it and only use it if it makes sense e.g. KentPlumbingServices.com, if your name happens to be Kent or you live in that area. Will including keywords in your domain guarantee your SEO success? No, but it won’t have any negative impact either. Every time Google closes a loophole, black hat SEOs work as hard as they can to find the next gap in Google’s armour. Automated link building does still work, but what none of the “experts” mention is whether or not it actually improves your rankings. Here’s the answer to that: Automated link building does not improve your rankings, and even if it does the effect is so temporary that you’re basically wasting time and effort in doing it. Google doesn’t like dishing out “Manual action” penalties, but using automated link building tools is the quickest way to make that happen. Google hasn’t discussed PageRank in a meaningful way since 2013. They haven’t used PageRank since they disabled it on the Google Toolbar. Any SEO or digital marketer who still talks about PageRank might need a gentle reminder that the only people measuring it are Google themselves. And they’re not sharing that information with anyone. That’s as much as you need to know about that particular myth. Will posting every single day on <insert your social network of choice> help build traffic and backlinks to your website or blog? No. No matter how often you post. Does Google give “brownie points” to websites or businesses that have an active social presence? That certainly appears to be the case, so social signals do matter. Nathan Gotch describes links from social network pages as “foundation links”, and that’s exactly how should treat them – as an integral part of your backlink profile, but nothing more than that. There are some truly excellent SEO tools available today, like SEMrush, Ahrefs, KWFinder, and others. But none of them can make your search engine optimisation problems go away. At best they can audit your website and backlink profile, providing you with a list of recommendations to work on. In fact, tools like SEMrush can generate detailed, automated reports for you showing you exactly what you need to change. The issue faced by most people is knowing how to execute those changes. SEO is part art and part science, so until the day some type of “Skynet” becomes self-aware, you will have to invest time and effort in keeping your SEO skills up to date. It’s amazing how often I hear this during client consultations, or even from other SEOs. No doubt Google loves this rumour because it means their $10 billion a year paid advertising model gets a boost. 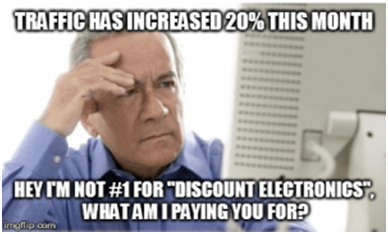 There is absolutely no evidence to back this myth up, and that goes for any form of PPC (Pay Per Click) advertising having a positive impact on organic search traffic. After all, if it was that easy wouldn’t everyone be doing it? Search engine optimisation is one of those areas of online marketing where you need to pay more attention to what people are doing, and less attention to what they’re saying. And that goes double for Google itself. Following their Webmaster Guidelines reduces your risk of receiving a penalty from them to almost zero. But in the same breath, Google also advise against building backlinks, even though that’s the only way to rank your business for competitive keywords. So, obeying the rules is the path to SEO success…to a certain extent. The key is to keep your SEO strategies firmly out of black hat territory, and stray into grey hat tactics at your peril. Google now focuses on UX (User Experience) as a key ranking factor, and there’s also nothing worse from a user’s perspective than having to wait for a site to load. Data shows that the average user is willing to wait no more than 3 seconds for a site to load fully. That’s where user expectations are right now. If your site doesn’t load quickly enough, then your visitor will bounce back to the search listings and try again. That sends Google a very, very strong signal about the quality of the user experience when it comes to your site. High-speed web hosting is more affordable than it ever has been, so there’s no excuse for your site to load so slowly it brings people to tears. You can test how quickly your site loads using either GT Metrix or Google PageSpeed Insights. Using “Header” tags in a structured way on a page won’t guarantee a place on the first page of Google, but they are still very relevant. I’ve tested the impact of H1, H2 and H3 tags on ranking, and I can share that including your keywords/LSI keywords in Hx tags does have a positive impact on where your site ranks in Google. Are Header tags a significant ranking factor? No, they probably make up about 5% of the overall SEO picture, but they are still an important part of any SEO strategy. Again, look at what other SEOs are doing, and not what they’re saying. While a sitemap does help Google to better understand the structure of your site, it is not a deciding factor when it comes to where they’ll rank your site. In fact, most smaller websites don’t need a sitemap if their site navigation is structured properly. Larger authority or e-commerce sites will benefit from having a sitemap because it allows Google to spider their entire website very quickly, but they still won’t receive a rankings boost simply because they have a sitemap. Not only does it make sense to link from one page to another on your site from a visitor’s point of view, but there’s now a tangible benefit to doing this. Internal linking has always been an important but often overlooked part of SEO, even though it basically allows you to tell Google what a specific page is about by using a an exact match keyword link to do that. Internal linking allows you to create what are called “Topic Clusters“, which is an ethical way of improving the search engine position of a specific page on your site. Again, this is a misunderstanding which became a rumour and is now accepted as fact. Google rolled out a penalty to stop SEOs manipulating the search results by using keyword focused hyperlinks. 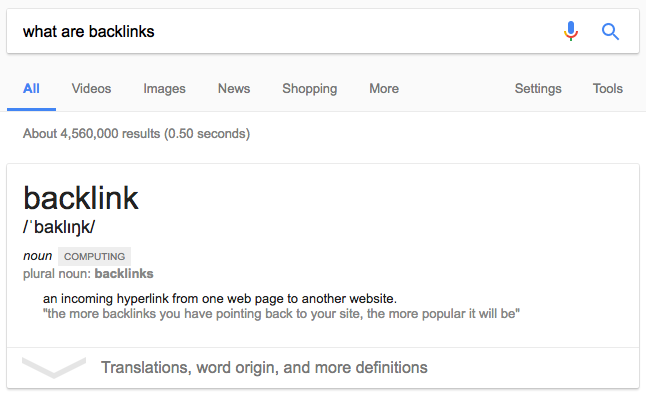 What this means is that all you used to need to get on page one of Google is a few dozen/hundred links pointing to your page with the exact keyword you want to rank for mentioned in their hyperlinks. So, while it’s true that you should not, under any circumstances, use dozens of exact match hyperlinks pointing back to your site, you still need to have at least a few using variants of your focus keyword so that Google knows what your site is actually about. As much as I hate to admit it, black hat SEO does work. And depending on the skill of the SEO it can work very, very well. What you need to understand is the risk involved in using any black hat SEO strategy or technique. Are you, for example, willing to build an online business that could be banned by Google once they figure out what loophole you exploited? Or, would you rather invest your time and effort in white hat SEO strategies that take longer but deliver long-term results? 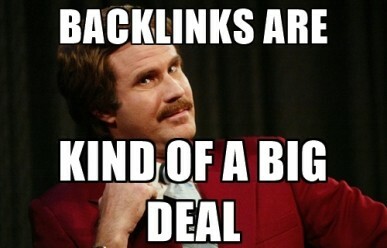 Black hat SEO = quick rankings and quick traffic, but Google will find and de-index your site. The myth is that too many outbound links will “…leak your PageRank away”. Again, PageRank isn’t a thing anymore, so stop worrying about it. Might an outbound link pass some of your domain authority to the site you’re linking to? Yes, and that’s the purpose of an external link – it’s a “vote” for another website. Google won’t penalise you for doing this. In fact, it appears that Google actually rewards websites that link out to other useful and authoritative resources. Create your external links with two things in mind: moderation and relevance i.e. does it make sense to link to an outside reference/source from within your page, and if it is does it makes sense to link to that source more than once? Myth #36: Guest posting is dead. RIP. It’s true that cheap, paid guest posts are dead. Like the ones you used to find on Fiverr, and similar platforms. Google hates any form of paid link, and the early form of guest posting was nothing more than paid link placement. But high-quality, relevant guest posting is still an excellent way to build links to your website, even if the links are “no follow”. You should guest post if for no other reason than to generate referral traffic to your site. You just need to avoid using exact match keywords in the hyperlinks back to your site, because that’s a signal to Google that you’re trying to manipulate their search results. You can and should guest post to help promote your website, but take the white hat approach when doing so. If you’re not familiar with the terms “dwell” or “bounce”, don’t worry. Dwell time simply means how long a visitor stays on your site, and is usually referred to as “on-page time”. “Bounce” is how many people come to your site, read a single page and then leave. Google actively measures both dwell and bounce rates in relation to your site and how well it answered a searcher’s query. If Google RankBrain notices that a lot of people hit your homepage and then bounce off it after 15 – 20 seconds, then it tells them that whatever information, product or service they found there didn’t answer their query. Google then adjusts your search ranking based on that. Yes, dwell time and bounce rate do matter. This myth gets rolled out after almost every major update to the Google algorithm – lots of SEOs and marketers running around telling people to abandon ship…and sign up for their course on PPC/Social influence/YouTube ads instead. The only point that search engine optimisation could be considered to “dead” is when we create an artificial intelligence that can speak, read, write and interpret language as well as a human being can. SEO is more difficult than it used to be, but that really only affects black and grey hat SEOs in any serious way. For everyone else it means focusing on long-term results and putting the hours in. The constant Google algo updates might seem annoying, but they’ve levelled the SEO playing field in a way that makes quality not only matter, but be truly effective in earning organic traffic. SEO is ever-changing, and over time, former truths become myths, and best practices become spammy and blackhat. If you’re not up to date, it’s easy to have a lot of misconceptions about what works and what doesn’t. If you’re handling your own SEO for your website, the best thing you can do is educate yourself. Fortunately, there are a ton of great resources out there that you can use to brush up on what’s current in the world of SEO.